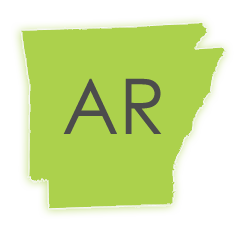 If you want to spend less time bogged down in search of qualified Arkansas court reporters, drowning in the hiring process and instead get more time to focus on the intricacies of your case, then keep reading. Just being on this page signifies that you undoubtedly understand the importance of finding the right court reporters for your deposition, case, or implementing the right solutions to the corporate services you require. You know the pairing of skill, personality, and professionalism to your litigation needs is of great consequence, but can often take the backseat to seemingly more principal issues. Constantly being pulled away from tasks to tend to more pressing matters creates a circle of attention and time stealing events that leaves you not far from where you began. Busy as you are your hiring practices are also hindered by your selection pool. If you are unhappy with the quality of professionals, the quantity of skilled individuals, or the time it takes to find and qualify court reporters in addition to every other position required for a fluid deposition, then Discovery Litigation Services has your escape. Discovery Litigation Services is a leading force in providing legal solutions that actually work to simplify the litigation process for you by removing bottlenecks and supplying the level of support you require at a price that will not break your budget. At DLS, we pride ourselves on our global reach. Our experienced scheduling team will provide you with a meeting room, a Arkansas court reporter, videographer and interpreter anywhere they are needed. Whether you are just looking to hire a court reporter or seeking the entire suite of tools and support offered, Discovery Litigation Services will handle all of the deposition requirements for you. Our easy to use online scheduling is the first step to simplifying your process. From Class Action to Multidistrict Litigations and the most simple of scheduling matters, we offer you the strongest tools and support to ensure perfection at every turn. If you are looking to save time and save money while getting a boost in the quality of work and ease of access to transcripts and discovery materials, then we have the solutions for you. Our easy to access web-based software allows you to quickly check transcripts, errata sheets, and exhibits in addition to invoicing. With Discovery Litigation Services you will have all of your tools and materials in the palm of your hand available to you around the clock from anywhere you have an internet connection. Review our full host of litigation services available and Schedule Your Deposition Today. Reach out to us and we will happily work with you to tailor fit the right solutions to your specific case. Let us know what you need and we will create a plan that uniquely satisfies all of your concerns to the highest level available while saving you money, time, and giving you peace of mind.